The internet offers us a plethora of possibilities – we just have to reach out and grab them. And one of these possibilities is that now, anyone can sell their knowledge online, whatever that knowledge may be. But, how exactly do you monetize your knowledge? 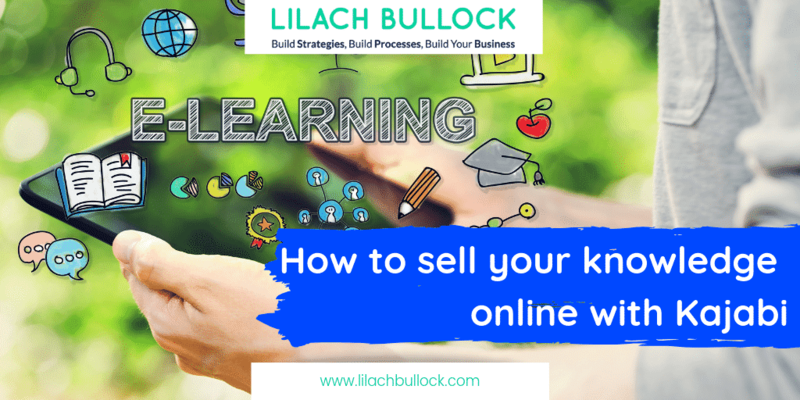 In this blog post, I’m going to show you how to sell your knowledge online with Kajabi. 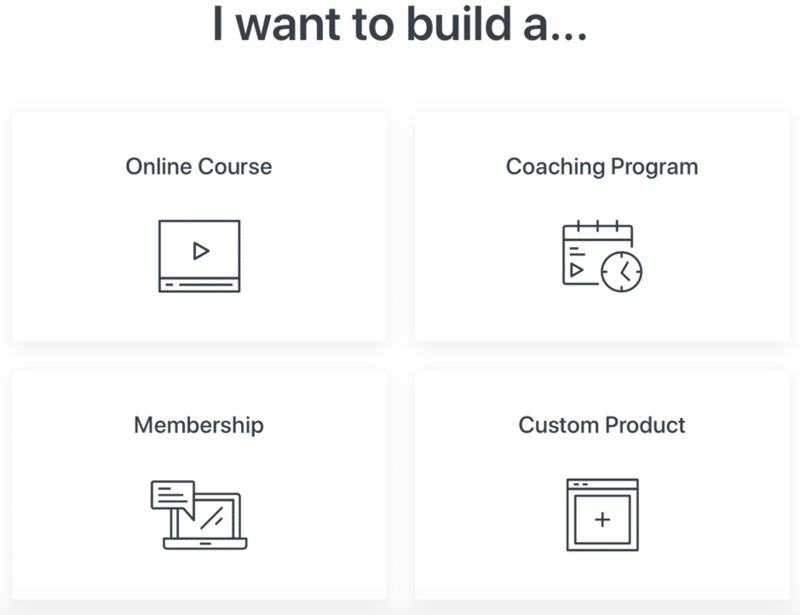 Kajabi is a knowledge commerce platform; in other words, it’s a tool that allows you to monetize your knowledge by helping you build online courses, coaching programs, membership websites, and monetize them. Without using an all-in-one service that walks you through the process, this type of endeavour can be daunting. 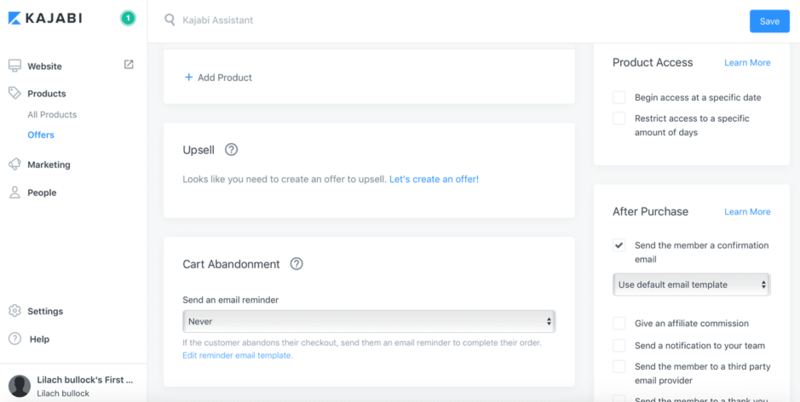 But this platform not only helps you create, host, and sell your products, but it also allows you to market them with Pipelines (a very cool feature that you can read about in detail in this review), email marketing (including email sequences), upselling offers, and with all kinds of automations. Here’s what you can do with Kajabi in more detail, as well as see how easy it is to use it to monetize your knowledge. I’m going to choose the coaching program. You can set up all the settings you need from the menu on the left-hand side of your builder dashboard: add social links, change background images, change the navigation menu, and so on – it’s very easy, all you have to do is follow the instructions in the menu. The real work, though, is when planning your actual product. In this case, we’re talking about a coaching program. That’s not to say it’s difficult to do – quite the contrary, in fact – but more so regarding all of the content you need to create. 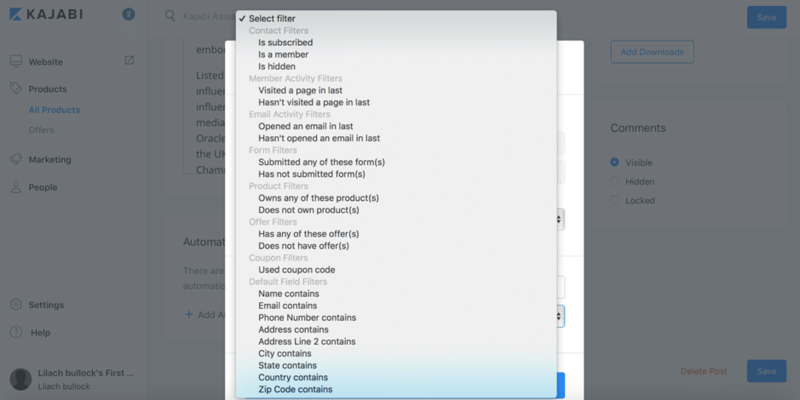 On your product page, you’ll see a complete outline of your product. 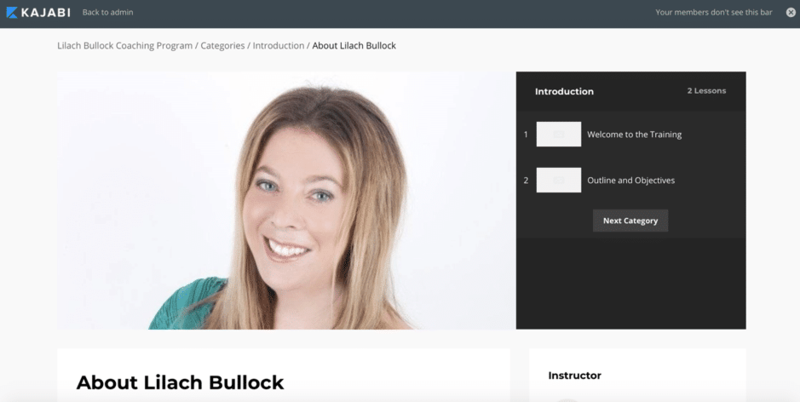 My coaching program features an introduction, followed by eight weeks of training, with each module including custom content. Now that you’ve created your product, the next step is to set up its pricing so that you can monetize your work and knowledge. Obviously, a set price is not your only option; once you save your initial offer, you can further customize the pricing and payment models to suit your needs. You can offer your product for free, or you can give your potential customers a few different options: pay it all in one go in order to attend the course/program/etc., allow attendees to pay the full price in multiple monthly instalments until they pay the full value, or create a recurring subscription so that clients need to pay a fee regularly to attend. As for what payment processors work, you might’ve noticed in the above screenshot that both PayPal and Stripe can be connected. 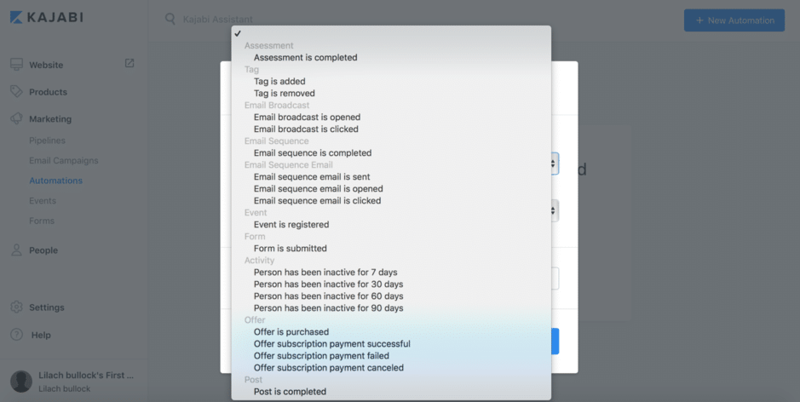 You also have a few options for “after the purchase,” as you can see in the right-hand corner of the above screenshot: give an affiliate commission, send a notification to your team, and so on. There are numerous other customization options, though – so much so that it would be a real struggle to get through them all. Suffice it to say, you can customize your offer completely to your liking, create all kinds of automations, and ensure any legalities are handled (service agreements, copyright, and so on). Now, I want to tell you more about Pipelines and how you can also use Kajabi to market your product and get it to your audience. As I mentioned before, you can also build your own Pipeline from scratch – and beyond that, you can customize each Pipeline template to suit your needs. 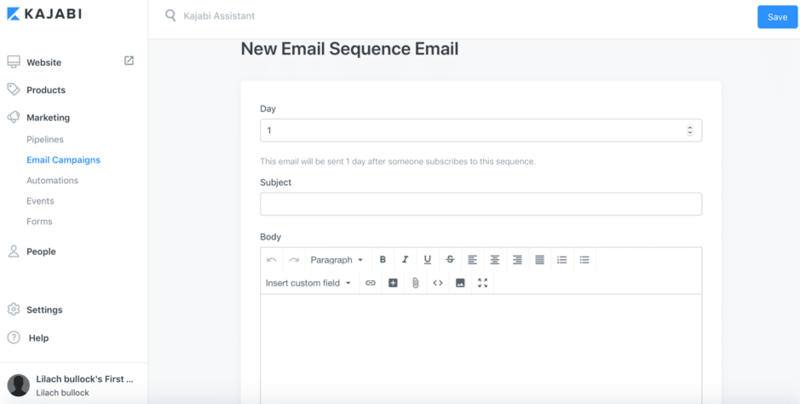 All you have to do is choose when to send the email (in this case, one day after being subscribed to the sequence), give it a subject line, and write the body of the email. Kajabi is an extremely powerful tool that can help you monetize your knowledge – not just by helping you turn your knowledge into a product that you can sell, but by actually helping you every step of the way. This includes marketing your product and using upselling tactics and managing your members and products, all in one place. Have you tried monetizing your knowledge yet?